My suggestion of projecting the thousands of receipts onto a big screen wasn’t realistic. And while Alec initially thought about bringing one of the accountants from Frazier & Deeter in for a special panel to talk about the Axanar books, that might not be as exciting as it sounds. A full hour of attendees listening to an accountant give a lecture on budget analysis might not be the best use of the limited Axacon time, especially since the schedule was already super-full. Also, Alec wasn’t really comfortable taking the seven binders of Axanar financials, bank statements, and original receipts out into a public space where someone could walk off with them. However, Alec did figure out a way to avoid all of these problems and still make the financials available for convention attendees to check out and examine. The books will be open for inspection to anyone who attends the OWC Studio tour on Friday. No accountant, but Alec will be on hand to answer any questions folks might have. JONATHAN – Why are we still talking about the Axanar financial records? Hasn’t this subject been beaten to death? ALEC – You would think so! I mean lawyers, two sets of accountants, a panel of industry experts, and a number of donors have all seen the financials and approved of them. But you know, Carlos Pedraza and his Axahater minions—none of which has any expertise or any facts—keep wanting to beat the drum of nonsense they spill, suggesting there is something nefarious about the financials. So I thought we should give even more people the ability to see the detailed financial records. 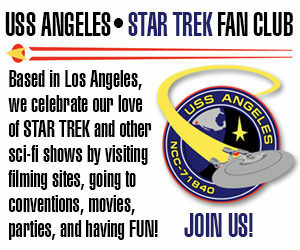 I’ve always said that any Axanar donor could come to our studio at any time to look over every receipt we ever paid and verify for themselves that every penny of donations was spent on reasonable expenses for studio and set construction, improvements and maintenance, operating expenses, equipment, rent, insurance, utilities, pre-production, production on the Vulcan scene, post-production, craft services, marketing, supplies…everything totally above board and not one penny to me for anything. 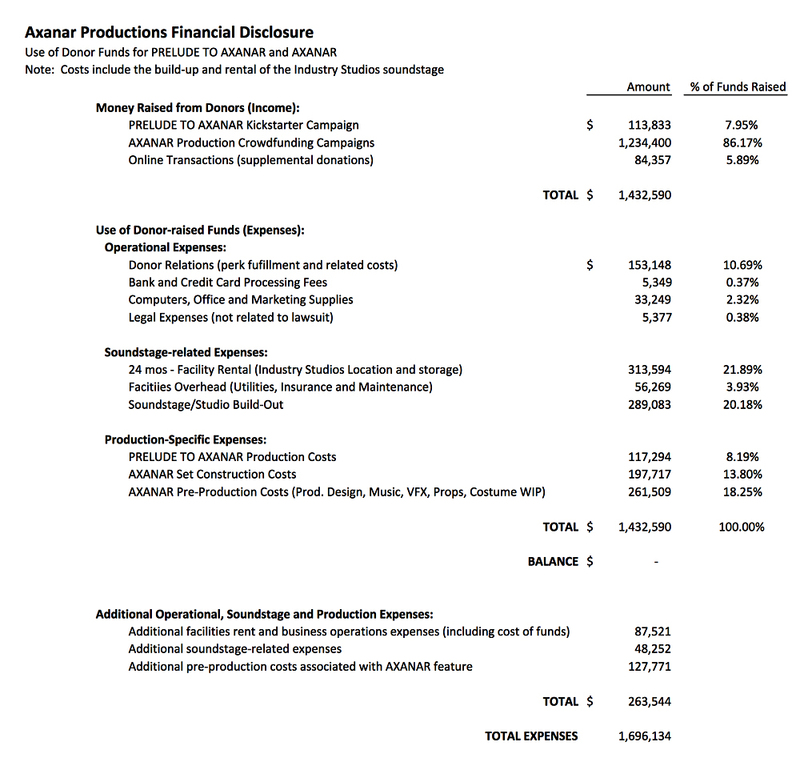 JONATHAN – So why not just post the full spreadsheet of records onto the Axanar website…not just the summary but the whole kit-n-kaboodle of everything you ever spent? Wouldn’t that finally shut up the detractors? Actually I originally wanted to release the detailed financials as I thought it was so clear cut, no one could have an issue with them. But Mike Bawden, our PR Director, was the one who felt strongly that Carlos and the Axanar detractors would continue to find things wrong, because facts weren’t what they were interested in. Their agenda dictated everything. JONATHAN – But you are letting people come and take a look at the receipts in person. Sounds kinda like the same thing to me. ALEC – Not really. You go to a museum to look at the exhibits while you’re there. But you don’t get to take them home with you. You can buy a souvenir book or postcards or even take pictures of the exhibits sometimes, but they stay at the museum. JONATHAN – So are you saying that people will be able to take pictures when they look through your books? ALEC – No, the idea is get people to get their questions answered, and feel comfortable with how exhaustive our bookkeeping is. We’ve got thousands of receipts, and we’re not letting people spend forever standing there taking pictures. We’re opening up the books for two hours during the studio tour on Friday. 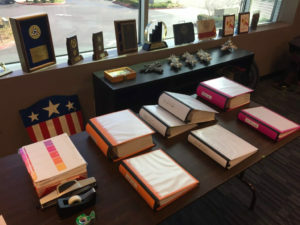 During that time, anyone can come over, look through any of the four 6-inch thick binders of receipts and three binders of bank records and financial summaries. They can ask me questions, take notes, and hopefully they see how buttoned up we are. But the books stay here, and the tour only lasts for a few hours. ALEC – Oh, please don’t! ALEC – Hiding what? It’s all there in plain sight. People can see all of the expenses add up to $1.4 million, which is what we raised from all sources during 2014-2016. But more importantly, our accountants have been through every transaction. The fundamental flaw of the haters’ lies is that we have a major professional accounting firm that not only has spent dozens of hours picking through the financials, but unlike the haters, they have both the actual financials AND the expertise to analyze where every dollar has been spent. Our CPA even said she wished every client was as organized as we were with our books. JONATHAN – Ah, but (still wearing my detractor hat) what if you left out those receipts that show you embezzling money from donors? Where’s the receipt for those tires for your car? Where’s your health insurance? Where’s all that delicious sushi??? ALEC – May I rip that stupid “detractor hat” off your head now? JONATHAN – Seriously, though…what if this is all just a smoke screen? What if you took out all of the incriminating receipts and left in only the “safe” ones? What if you just forged all of the receipts in those books? ALEC – Geez! Who takes the time to forge thousands of receipts??? Many of them are store receipts from a register. Others are invoices with corporate logos imprinted on the top. These aren’t forged, Jon. JONATHAN – Scrubbed, then? You pulled out the tires and sushi receipts! ALEC – Well, that was NEVER charged to donors. I spent hundreds of thousands of dollars out of my own pocket to keep Axanar going. I paid rent and utilities, moving costs, all the legal expenses that weren’t covered pro bono…yes even tires and sushi! All from my own money, and I’m even covering the cost of Axacon myself. Let me ask YOU a question: who embezzles money and then comes away with LESS money than when they started?!? I’d have to be the most idiotic crook in the world! Tires for my car cost, what, a few hundred dollars? So I pay hundreds of thousands of dollars just so I can get free tires? It makes no f*cking sense. But that is the haters for you. JONATHAN – Oh, I never claimed that anything the detractors said made sense, dude! ALEC – But seriously! Carlos, Sandy, Hinman, if you’re reading this, think about it. Does it make any sense at all that I’d steal people’s money and then stick around for another two years to make a fan film? Wouldn’t I just close up shop, tell everyone, “Sorry, the lawsuit ate up all your donor money…” and then go off and retire to some tropical paradise somewhere? Why the hell would I stick around, spend tens of thousands of dollars moving everything across the country, finishing the sets, hosting a convention, and hiring actors and an entire production crew? Are those the actions of someone trying to take the money and run? If you guys think so, you’re even bigger morons than I already think you are! JONATHAN – One more thing from detractorville: even if you claim to your dying breath and beyond that you never personally profited from anything Axanar-related, the judge in the lawsuit said you did in an official ruling from the bench! And judges can’t be wrong!!! ALEC – Actually, yes, they can be wrong! That’s why we have appeals courts. In fact, the same judge who presided over our copyright case was just found on appeal to have been wrong in a different copyright lawsuit he was adjudicating, and it’s now been sent back by the 9th Circuit Court of Appeals for a complete retrial. JONATHAN – Say it ain’t so, Joe! ALEC – Do you remember that Led Zeppelin case where the group was being sued for ripping off the riff for Stairway to Heaven from another band they toured with in the 1960s? The jury found that Zeppelin didn’t infringe, but a three-judge panel just threw out the verdict and ordered a new trial. And they blasted [9th Circuit Judge] Klausner—who was also our judge—for TWO big mistakes: bad jury instructions and not letting the plaintiffs actually play the original song Taurus for the jury during Jimmy Page’s testimony. So, yes, even judges make mistakes…and our judge was certainly no exception. And as YOU know, since you reported on it, when Judge Klausner handed down a ruling that we couldn’t claim Fair Use as a defense, he made a HUGE mistake, ruling on a matter of fact, not law, which judges are supposed to leave to the jury. That is the whole crux of how we were able to get a settlement. I made it clear that we would be appealing to the 9th Circuit because of that ruling, and the trial would have lasted at least two more years. CBS didn’t want that hassle and came to us to settle. Look, when all is said and done, we’ve had TWO sets of accountants, plus lawyers, industry professionals, and donors all take a look at the books and have no issues. And trust me, our current accountant firm, Frazier & Deeter, would never have even taken us on as a client if the books were shady in any way. Yet the haters think THEY (who have zero qualifications) know better than accounts, lawyers, and industry pros? Are you kidding me??? ALEC – Oh, thank God! JONATHAN – …and ask if there’s anything final you’d like to say to the readers and fans. ALEC – Only that we’d really like to see them at Axacon (unless they’re haters, in which case, don’t bother coming). But for anyone else who loves Axanar or just wants to learn more about it and get the latest updates, please join us the weekend of November 2-4 at the Crowne Plaza Atlanta Airport in Atlanta, GA. We’ve got great guests including J.G. Hertzler, Gary Graham, and David Gerrold, fantastic panels, a tour of OWC Studios on Friday, and yes, we’ll have the financials open and on full display during the studio tour. You can buy tickets for just Axacon for the three days, a combo ticket for Axacon and SphinxCon together, and now we also offer Axacon tickets for individual days if you can’t make it for all three. Axacon tickets are all available here. And if you’d like the Axacon/SphinxCon COMBINATION ticket, preregistration has closed, but those will be available at the door on the day of the convention. JONATHAN – Cool! I’ll see you in Atlanta in thirteen days! I looked thru your papers and you have did a good job of keeping track of all of the money that came in and going out. I like that. I don’t see why cbs Viacom paramount studio comeing after you do to the money that came in to your company. I am on tour side ok. My i use the way you work with your paper work?, please i know a little bit of doing with a company to start up. Thank you for putting this on here. So hard to tell which Kenny Smith is which, isn’t it? Not really. The “First Frontier” Kenny Smith hardly ever posts, and when he does, it’s always very clear and intelligent. If Peters really wants to defeat the detractors on this he needs an independent review of the financials (which the previously claimed one was not because it contained people with obvious conflicts of interest). So you don’t consider two sets of accountants who put their industry reputations at risk if they do anything shady to have some kind of conflict of interest? Please explain. I simply meant: why doesn’t he consider the two accountant reviews to have had a conflict of interest? Those should count as an independent review, too! You could have a team from Frazier & Deeter sit down and give the detractors a full days one to one with them, going over everything, but they’d still cry foul. So, I’m with Alec. The detractors deserve nothing, including access to the full financials. Waste of money to bring in an accountant for a few hours. They do charge for that, ‘y’know. I doubt that. Also, the logistics don’t work. You aren’t the client, Alec is (and Axanar Productions). There are no more barriers to an independent audit. Donors have paid for everything else, why not an audit? I’m a donor – I’m willing to pay for it. No one asked you to. What is there to criticize? How many more accountants do you need to certify these records before you’ll concede that the $1.4 million was spent on reasonable expenses for production and running/improving the studio? Actually, you probably will never believe it…so why am I even bothering to respond to you, Chris? As ever, you latch onto a few words from my response (the word “criticism”) rather than the substance of it (the fact that this is a pointless PR move that does nothing to assure donors). Way to deflect. Interesting word you used there. “Reasonable.” Reasonable to whom? The fact that Alec blew through the all money before anything could be filmed in the studio is hardly reasonable. Rather it points directly to bad management, bad decision-making, and bad stewardship. Alec has never accepted blame for this, choosing to either rewrite history like it was the plan all along or blame others. Methinks ’tis you who are rewriting history, Chris. Why, I wonder, do you leave out the lawsuit entirely from your description of what happened? It’s like you’re blaming a restaurant owner in the Florida panhandle for “blowing through” all his money making improvements to his eating establishment because he should have known that a hurricane was coming to destroy it all, and building a restaurant anywhere along the Gulf Coast is just asking for trouble from Mother Nature. Check your facts, Jon. Alec was supposedly 30 days out from filming when the lawsuit hit but by then most of the money was gone. By Alec’s own account he had to fund the warehouse rental from his own pocket (the $150K he talks about) to keep it afloat before moving to Georgia. Again, bad decisions that made the money dry up. Alec still had hundreds of thousands of dollars available when the lawsuit hit on December 28, 2015. The plan was to film starting in January and release the first half hour around Comic Con of 2016…along with launching another crowd-funding campaign. With the first part of Axanar getting lots of media attention, it seemed reasonable to assume that another half million dollars (at least!) would have come in, funding the second half hour and, of course, studio expenses for another year until the release of part 2 allowed for the process to repeat again. And hopefully, by that point, the studio would have been bringing in additional revenue from other productions, commercial shoots, and film schools renting the facility…and also from the Sci-Fi Film School that Alec was planning to launch, where industry professionals would lecture and teach hands-on online courses in writing, directing, lighting, sound, VFX, etc. You’re wasting your time Jonathan. Chris also has this idea the sets were dusty and half-complete when the lawsuit hit also. I thoroughly debunked this, and his response was to send tumbleweeds my way. By the way, did you know tumbleweeds tumble because that’s how they propogate themselves? Yes, yes I did know that about tumbleweeds. Did YOU know that tumbleweeds, although prolific across the American west, didn’t originate from American but were brought here along with seeds from Europe and Asia intended to fertilize the Great Plains? You’re the one who’s making it easy, Jon. Really, I shouldn’t have a battle of wits with an unarmed man. I’ll refer you to this page. Look familiar? “The response to our Kickstarter has been amazing and because of the help of George Takei, we blew through $ 500,000 and now $ 600,000! We never dreamed we would get close to original amount we said we needed, so we didn’t revise the actual production budget, which was created before Prelude to Axanar was even shot. We just did rough budgets for set construction and sound stage, which we have good handles on and hoped we would get enough to cover them. Then, while building the sets and modifying the studio, we would be able to work on a better budget for the actual production and show you our progress on the sets and studio. Interesting. How about this page? “Axanar is a feature film, but will be broken down into four episodes following the four acts of the script. With an overall budget of approximately $960,000, that means each episode will cost approximately $240,000. Add to that a portion of the ongoing studio costs, and the cost of Indiegogo, payment processing, and perks (see below), and we are setting a goal of $330,000 per episode, or $1,320,000. I donated to both of these campaigns, by the way. Silly me. So Alec went from having almost everything he needed to nearly doubling the budget. That is bad management, bad planning, and bad business. Hindsight is 20/20, certainly, except that Alec had industry professionals advising him not to do the things he was doing. This is Alec’s vaunted business acumen? Please. Also, you’re contradicting Alec (bad!). If there was plenty of money in the coffers when the lawsuit hit why did Alec need to put in his own money? Surely there must have been enough to keep the lights on during the lawsuit? Oh, but someone made the decision to lock themselves into an expensive lease, didn’t they? Interesting! I don’t usually call people idiots, so I won’t right now. That said, thank you for going and finding everything that supports what I told you. Completely suspending production along with any additional crowd-funders during the lawsuit meant that Alec and Axanar Productions never got the opportunity to raise more funds in 2016, as had been planned. The rent and utilities ate up $15,000/month. By the time CBS and Paramount finally offered an acceptable settlement in 2017, over $200,000 had been spent on rent and utilities. More money had been spent on studio improvements, hoping that renting the facility to production companies would bring in some additional funds going forward. Had the lawsuit not happened, there likely would have been about $50,000-$150,000 left when the next campaign launched in the summer of 2016. Assuming that next campaign brought in another $500,000 (a reasonable assumption), the studio rent and utilities would have been easily covered for at least another year and a half. And production costs would have been lowered since the start-up resources (studio, equipment, sets, costumes, etc.) would have already been paid for. As for Alec locking himself into a 3-year lease, as I said, you’re using hindsight to criticize him for what turned out to be a bad bet, which just isn’t cricket. It’s like criticizing someone for signing a long-term lease a year before a natural disaster destroyed their business. At the time, it seemed like a good idea, and tens of thousands of donors agreed (or else they wouldn’t have given him even more money). The word you’re looking for, Jon, is “unimportant”. What if he scanned them and placed them online for all to see. Or uploaded to drop box for free. Any copier place should be able to scan and PDF everything on that table. Would give the chance for the Axamonitor folks to see the reality of it. Read the full interview, Joe. Alec addresses that point. Nothing will quiet the detractors (ever) but Posting everything online is hardly a Pandora’s box. And if they are posted online they could spend weeks combing through it and questioning everything…but do what…it will still prove Alex is telling the truth. Nah, I agree with Mike Bawden. And to be honest, CBS doesn’t post every receipt either…nor does Apple or IBM or Exxon-Mobil or McDonalds or Alcoa or any public company…even to shareholders. Like Alec did, they post financial summaries reviewed by accountants. I just don’t see any reason to do it. It certainly doesn’t produce any net advantage for Alec. As you said, the detractors will still question everything, so it won’t shut them up. So really, why bother? It’s not about producing a net advantage for Alec. It’s about saying…fine…here ya go…have at it. Have fun in your little group…but at the very least you can see, numbers wise, that I was telling the truth the entire time. There won’t be anything juicy in the books so just let everyone see them. Not a win for anyone, but it’ll destroy the myth of the financials. The detractors desperately want to see these financials (to, as you said, go over them with a fine-toothed comb and likely make Alec die the death of one thousand paper cuts arguing everything from choice of electrician to the brand of soap purchased for the bathrooms). To achieve this goal, the detractors have bullied, cyber-bullied, meme-bullied, mocked, badgered, accused, rabble roused, attempted to sabotage, harassed Alec and any who support him, and even turned on their own when they, like you and Matt Miller, strayed from the path of the righteously indignant. In short, they’ve behaved like a bunch of petulant and obnoxious dicks. So you’re recommending that Alec reward and reinforce that misbehavior by giving into their demands to see the financials? I just want to be clear that’s what you’re recommending. I’m recommending putting them online for all to see. I never said anything about a reward. Both sides, some on both sides, have been bullies and downright dicks. Neither side is innocent in that regard. Letting folks skim through the books for a few minutes isn’t really accomplishing anything other than adding fuel to the fire of the myth that there is something in there Alec doesn’t want people to see. If there isn’t anything in there that proves Alec did anything wrong…just let them have at it. But Picard is the best Captain. Well it looks like we both agree about Janeway…but not Red. Previous Previous post: VIC MIGNOGNA of Star Trek Continues plays ANOTHER famous CAPTAIN in a new DEADPOOL fan music video!